Co-writer/director Nick Willing adapts the 1991 novel by Madison Smartt Bell for the big screen. William Brookfield also had a hand in the screenplay doing a re-write. But Willing’s connections to the small screen (Alice in Wonderland and Jason and the Argonauts mini-series) aren’t forgotten. 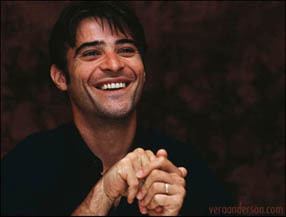 Goran Visnjic (E.R.’s Dr. Luka Kovac) is the main character of this psychological thriller, which combines the worlds of hypnotherapy, the supernatural, and the occult. Visnjic plays Dr. Adrian Strother, an American hypnotherapist asked to assist on solving a crime by Scotland Yard. When a detective (Shirley Henderson) goes to see Strother for help quitting smoking, they accidentally discover that he has psychic powers. Since the only living witness to the murderer known as The Tattoo Killer is mute, the detective asks for his help in contacting this girl who can’t talk.